Walters African American Episcopal Zion Church has been located at this site since 1882. 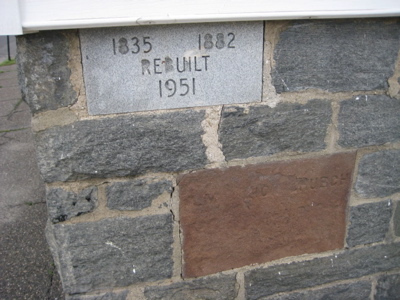 When its original structure was destroyed by fire in 1951, the current building was erected on the surviving foundation. 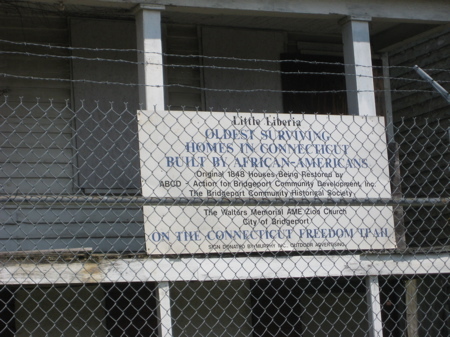 The building is one of few remaining reminders of an earlier African American community known as “Little Liberia.” Made up of free blacks, former slaves and their descendants, and migrants from the South, this community supported two churches, a school, and a number of individual homes. The two Freeman houses are the only remaining homes. Unfortunately, I don’t know what those two Freeman houses are, or else I’d have photographed them. (Update! The newly revised and expanded Freedom Trail lists the Freeman houses on the trail… so now I can go find them. 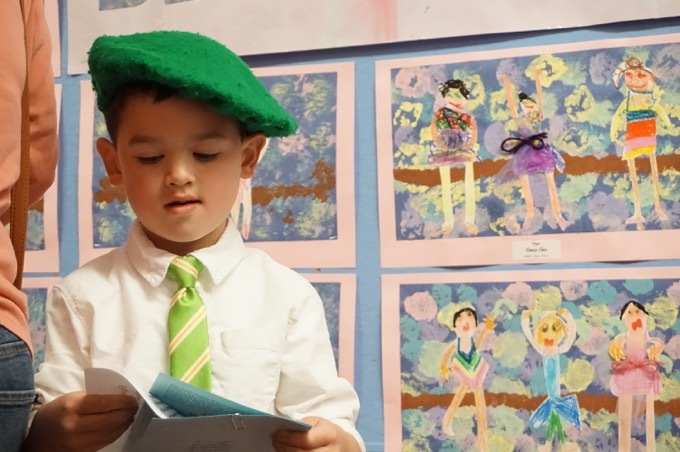 It’s like they read CTMQ or something…) See below! A block away from the church is a rather un-Main Street like part of Bridgeport’s Main Street. Looking at the map of the city, it looks like I-95 chopped it up in two and this part, south of the highway, was forgotten and is now a bit dilapidated. Which is a shame when it comes to these Freeman houses, which as you can see, are (I assume) condemned. And surrounded by barbed wire. Oof. 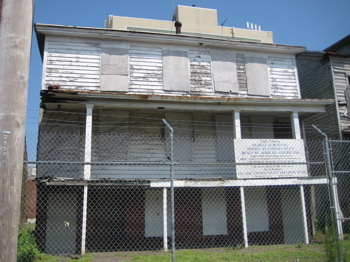 The Mary and Eliza Freeman Houses are the last two houses to survive of “Little Liberia,” a settlement of black freedmen in this area that began in 1831 and reached its height just prior to the Civil War. 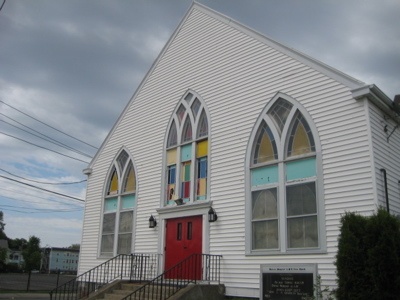 Like many communities at that time, “Little Liberia” began around the formation of an African Methodist Episcopal church, which stands nearby as Walters Memorial A.M.E. Zion. Mary (1815-1883) and Eliza (1805-1863) Freeman were two African American women of prominence who purchased these properties in 1848 to utilize as rentals while they lived and worked in New York City. The sisters later moved to Bridgeport and owned several other rental properties in the community. During their lifetimes, the Freeman sisters overcame significant obstacles as women and as African Americans in 19th century society. These houses are privately owned and not open to the public.